If you work in a doughnut shop and you are given the ability to change what's printed on the official receipts, what would you do? You probably won't bother much with it. But not this guy who decided to put some humor into the receipts by inserting a well-known quote from the late comedian Mitch Hedberg. 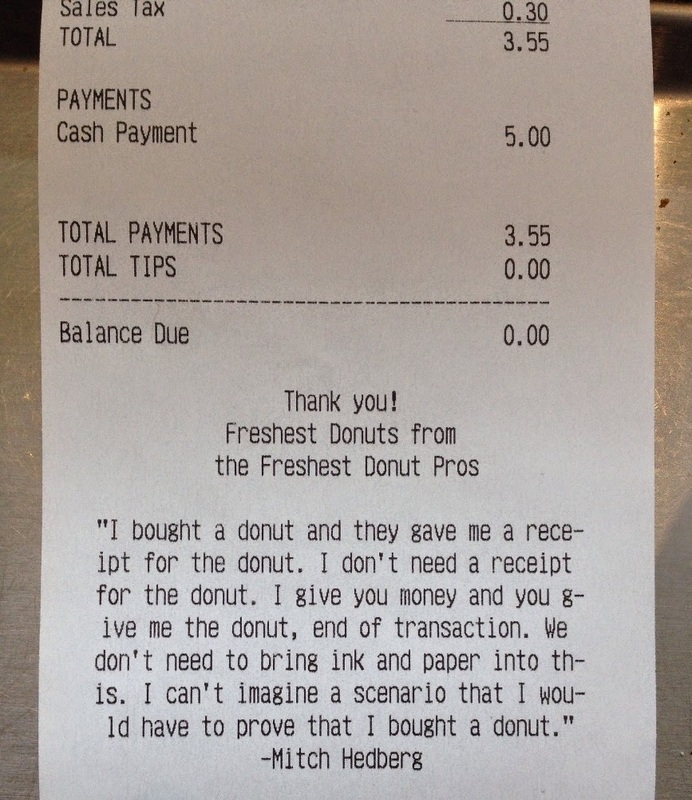 The quote in question goes "I bought a donut and they gave me a receipt for the donut. I don't need a receipt for the donut. I give you money and you give me the donut, end of transaction. We don't need to bring ink and paper into this. I can't imagine a scenario that I would have to prove that I bought a donut."